Since arriving to Kathmandu my experiences and understanding of urban development has completely changed. After living for several months in an area that was once consumed by agricultural lands to becoming a bustling city with ever-growing infrastructure, I no longer approach urbanization from a Canadian perspective. Not only do I cross by houses seemingly on top of each other, but I have yet to come across any agricultural space or “green” land. This not only left me questioning about the city’s priorities and its norms to urban space, but I also find myself reflecting on how this impacts the city’s environment. 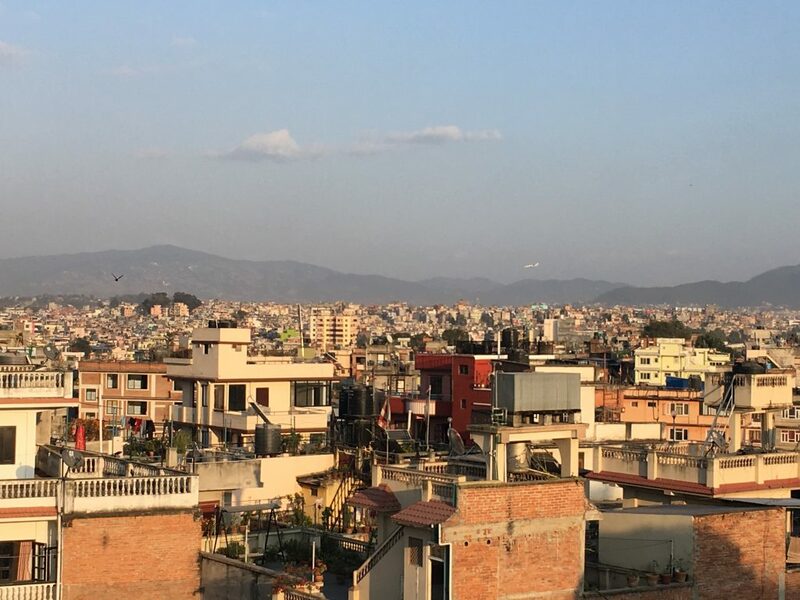 After my research and inquiries to my colleagues at work, I’ve found that Kathmandu’s cityscape has seen a rapid transformation in recent years. The industrialization of the city is largely due to the shift from an agricultural economy towards an industry/service-based economy. In the previous three decades, Kathmandu Valley’s urban area has increased by 412%, at the cost of 31% agricultural land. This made me realize why most of the street vendors selling vegetable always sell produce from outside the valley. I wondered why they can’t grow produce in Kathmandu Valley? I began to understand this from a report titled ‘Inclusive Cities: Resilient Communities’ published by the Ministry of Urban Development. The report discussed that the rapid transformation of fertile farmlands to becoming urban areas. It stated this occurs because of a lack of proper policies implementation on preserving farmland and a lack of planning in land peripheral development. In addition, there are other external factors pressuring the accessibility of agricultural land. Such factors include the city’s rural-to-urban migration, its capital flows, and the weak governance approach to planning and land management. Such land is crucial to the sustainable development of the city because it can alleviate food insecurity, create jobs and contributes to the GDP. According to the Government of Nepal, between 2016-2017, the estimated contribution of agriculture in the GDP was 28.9% . This has decreased from the 2010-2011 contribution of 35.03%. For a developing country like Nepal (where only 25% of its cultivated land has irrigation), the constant conversion of agricultural land only aggravates food insecurity. I’ve witnessed the adverse effects of land conversion within the organization I work at, Organic World and Fair future (OWF). OWF is an eco-social for-profit company with the mission to promote organic products and services. OWF supports fair trade practices in order to contribute to the social, environmental and economic sustainability of Nepal. In a conversation with my boss about the biggest challenges for OWF, he stated that the organization was restrained by its production capacity and human labor. As a result, not only does land conversion reduce OWF’s ability to produce enough to meet their production needs/demands, but it also affects the availability of labor to do the work needed. This can also prove detrimental to our capacity to support fair trade, organic agriculture production, and organizational growth. Now, this brings us to the question of who is involved? Why is Kathmandu’s agricultural land rampantly falling prey to urbanization? Kathmandu is divided into administrative units called Village Development Committees (VDCs). These VDCs override the municipalities that focus on urban development issues. The government has minimal control over housing and land management because the majority of the land is under private ownership and there is an absence of land acquisition laws. Currently, the city adheres to the National Urban Policy, 2007, and more recently the National Urban Development Strategy, 2015. 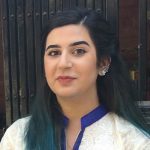 These policies focus on regulating the urbanization of Nepal, assessing economic activities outside Kathmandu Valley, evaluating abstract issues on regional planning and development, balancing regional and sub-regional development, and generating non-agricultural employment opportunities and support hinterland. However, more attention needs to be given to the sub-policies of the Land Use Policy, 2015. These policies are focused on the government encouraging agricultural practices in agricultural zones. As a result of the private ownership of land, if the only power the government has is to encourage or discourage policies, this rapid conversion of agricultural land will only continue. In my opinion, the government can try making a small difference and changing people’s perspective through the promotion of agriculture. However, at the end of the day, it is up to the landowners to decide how to utilize their land. It is evident that the rapid conversion of agricultural land has many underlying factors such as degradation, unequal land distribution, weak governance, inadequate policy, and implementation. However, some of the factors are beyond a policymakers control. This lack of a strong system and its governance of land development makes me realize how crucial it is to oversee human activities and thereby practice sustainable urbanization without causing harm to agricultural land. Therefore, agricultural land stands to be a sacrifice to our needs and wants.